On November 15th, Citylone and the Arcom group put the dishes in the big leagues and invited its partners to visit its brand new site in Brindas, 15km west of Lyon. The group has been investing in these new premises since the summer, in order to be able to significantly increase the surface area of its production plant. Indeed, the workshop for the manufacture of electronic boards and assembly has more than doubled and a significant investment of more than 650 000€ has been made on the new range of machines. 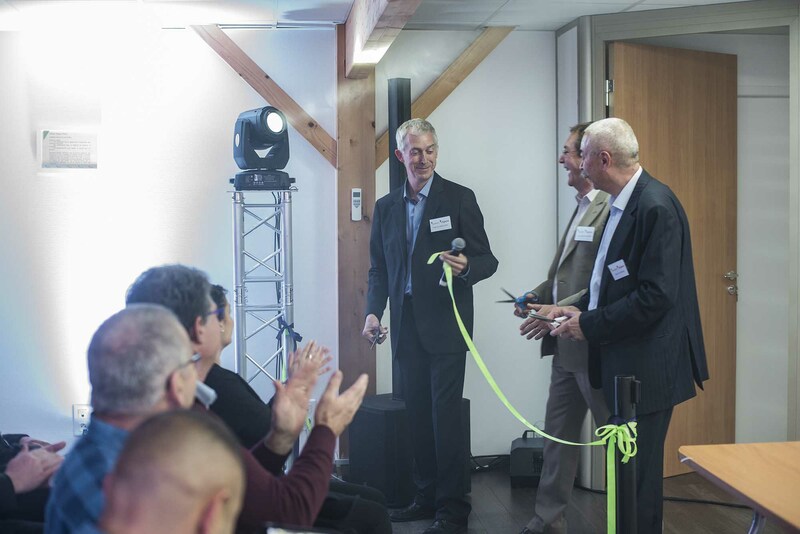 “This new production centre will enable us to triple our electronic board production capacity by 2018, while optimizing manufacturing quality and delivery times,” explains Patrick Tabouret, the group’s CEO. But during the visit, the guests were also able to experience remote management with an on-site presentation workshop: switching on, switching off, dimming, detection control, energy saving… visitors were able to see the major benefits of Citylone solutions. It was also the opportunity to present the SmartLighting-Box, Citylone’s latest innovation, a connected astronomical clock that allows you to manage your lighting in the cabinet while optimizing energy savings and being informed of critical failures.